"A BOOK ALL ABOUT BEING NICE?" I DON'T THINK there'S A MORE IMPORTANT MESSAGe. Plus hundreds of tips and advice on how to be nice to everyone, including co-workers, family members, strangers, service people, the elderly, and even people who aren’t nice to you. 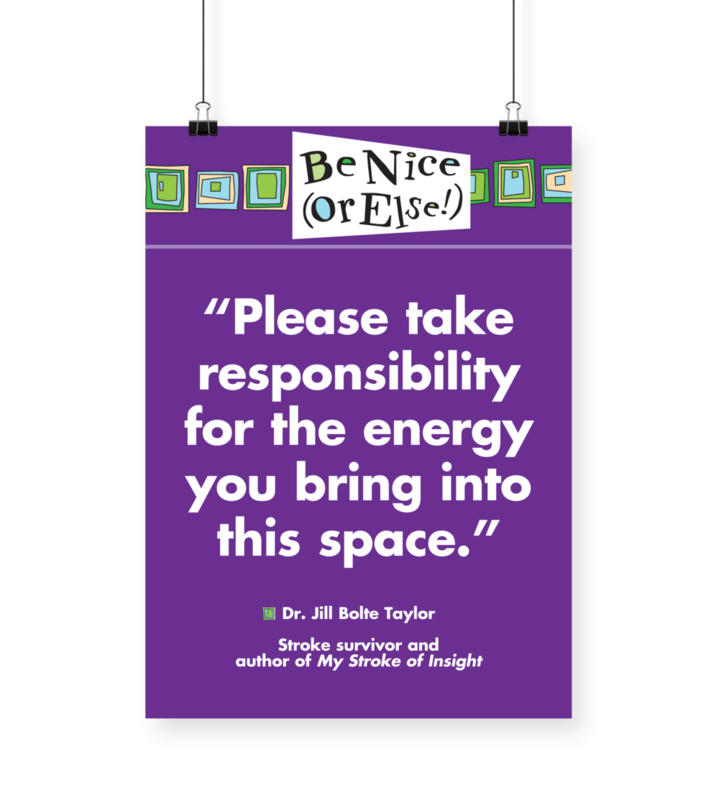 Be Nice (Or Else!) Audio book. Unabridged and Updated (2014). Written and Read by Winn Claybaugh. Everyone agrees that in a BE NICE world, everyone wins! But you cannot be nice “out there” if you’re not nice “in here.” In this CD, Winn Claybaugh delivers a high-energy, humorous, and passionate live presentation about the importance of being nice to yourself (“in here”), being nice to your team at work, and being nice to your community. Includes a special introduction by TV and radio personality, Leeza Gibbons. Nice sure beats the alternative, don’t you think? And it’s worth any effort it might take. Winn’s book BE NICE (OR ELSE!) covers the topic nicely! 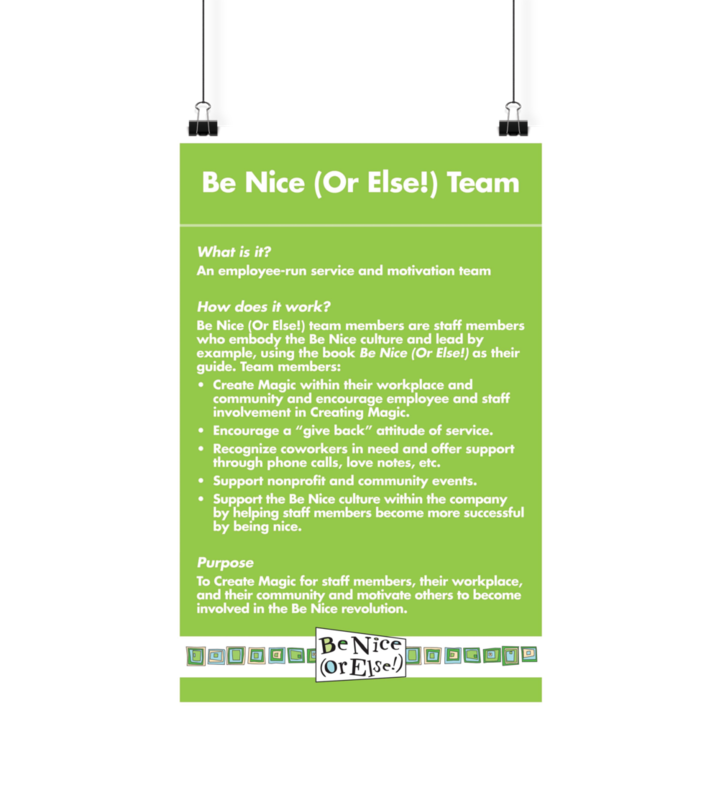 Make sure the BE NICE culture of giving is alive and well in your school, business, company, or organization. 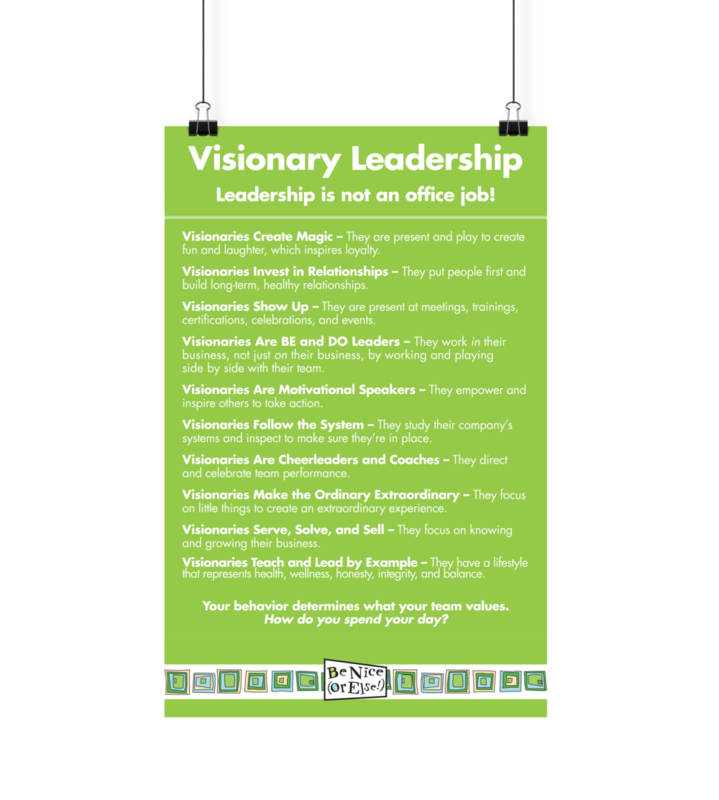 These posters are perfect for framing and hanging on your school, business, or office bulletin board. Here are some things you can do NOW to jumpstart your life and your business the BE NICE way! But don’t stop there… Be creative and keep looking for new ways and opportunities to BE NICE!